As the Cannes Film Festival enrages women by banning flats on the red carpet, experts say heels may look good, but they carry lots of risks. 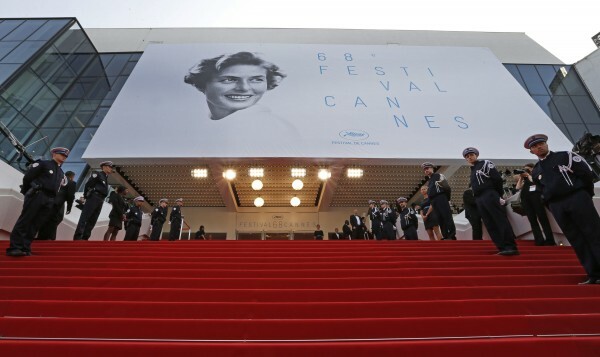 Cannes festival organisers recently sparked controversy after a group of women, some of whom had medical conditions, was reportedly turned away from a gala screening for failing to wear high-heeled shoes. While it is unclear what the fashion police had the most problem with, the lack of heels or the idea of flat shoes with rhinestones, the incident does raise some important questions about wearing footwear that isn’t very good for you. Wearing high shoes regularly and for long periods of time can change the way you walk and lead to long-term bone and joint problems. Not to mention the usual problems that come with corns and bunions that come with toes rubbing or being pushed into particular positions (“hammertoe” anyone?). The first thing that most women will notice when they put on a pair of high heeled shoes is that their body weight is shifted forward, away from the heel towards the front of the foot. This shift has a profound effect on the functioning of the foot, making it more rigid and less to able to absorb the shock associated with ground contact. The shift also increases the likelihood of pressure ulcers forming under the ball of the foot. These ulcers can be very dangerous for people who suffer with diabetes as, if left untreated, can lead to serious foot complications, and in some cases foot amputation. One of the women turned away in Cannes was wearing flat shoes because part of her left foot had been amputated. When we walk we use our big toes for balance in order to stop us falling forwards. The big toe becomes even more important in high heel when there is an increase in the load over the forefoot. This means that anyone without a functioning big toe would put themselves at high risk of a fall if they tried to walk in high heels. As well as increasing the likelihood of a fall or an ankle sprain, habitual wearing of high heels can lead to long term adaptations in the muscles and tendons around the ankle joint. For example, women who regularly wear high heels can expect shortened calf muscles, a stiffer Achilles tendon and reduced ankle flexibility. These changes will result in a less efficient walking pattern that then leads to problems when they change to flat shoes, especially if they participate in sports. Human walking is a fine balancing act in which we have to maintain our centre of gravity within relatively tight constraints to avoid falling and keep moving forward. So relatively small changes in the position of our foot can have consequences all the way up the body. Typical effects higher up include an increase in the curvature of the lower back, a change in the way the pelvis moves, or an increased backward lean. All these changes have the potential to over-strain the low back and possibly lead to back pain. Many women will find themselves feeling tired after prolonged periods of wearing high heels shoes. This is partly because high heels put the body into an awkward position and, as a result, our muscles have to work harder to move us forward. This has been proved scientifically using EMG-based studies which have shown that the low back, knee, hip, calf and foot muscles all have to work harder with a high heeled shoe. Is the answer to wear flat shoes? Well probably, but we still have to be careful. Many women’s flat shoes have a pointed toe box, the front part of the shoe, which is not really big enough to accommodate the foot. The main effect of this is that the big toe is forced outwards and this can restrict the motion of the toes and lead to toe deformity and bunions. Not surprisingly, more than 90% of operationsperformed to correct these problems are carried out on women. So, even if you do decide to opt for flat shoes, make sure you consider how well the shoes fit you feet.